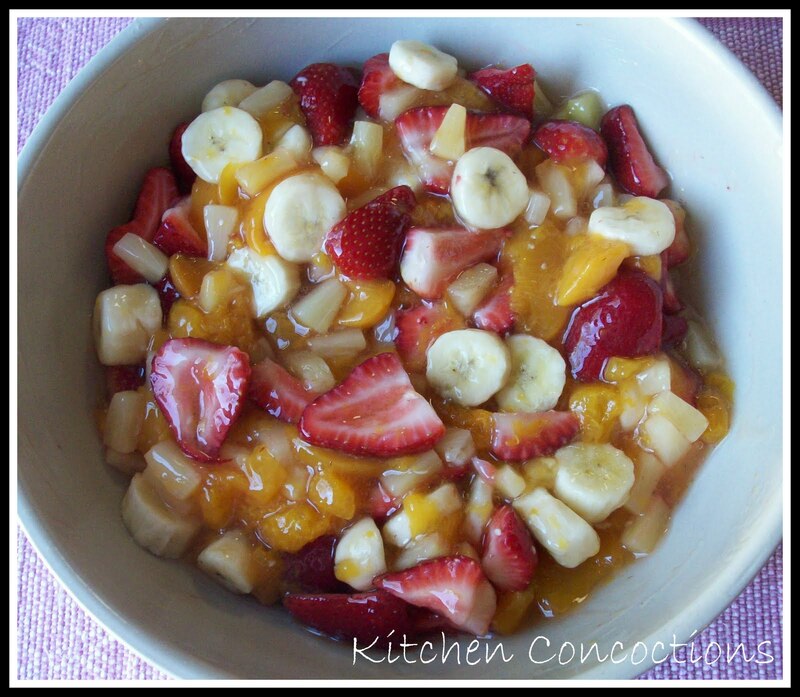 This fruit salad is one of those food for me. And I am sure that each one of you has this recipe or a version of this recipe that you too make for family get togethers or potluck lunches. It is simple and easy. My family has been eating this fruit salad for generations; passed down from my great-grandmother to my grandmother, to my mom and now on to me. This is the perfect salad for any meal anytime. We have eaten it at Thanksgiving, Easter, summer BBQs, breakfasts and brunch. And if there are ever any leftovers I will eat this salad as a snack. Like I said this is the version of the salad that I grew up eating and still enjoy today. 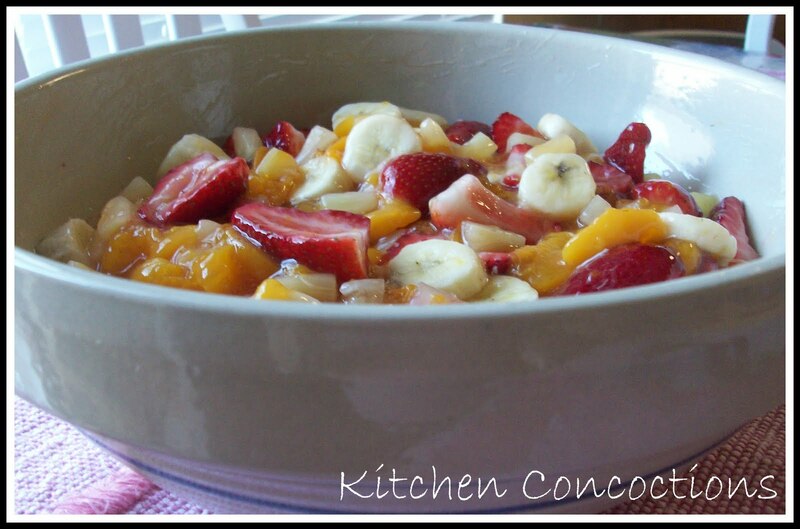 Mix all ingredients, except the pecans and banana, in a large bowl. Cover and refrigerate for at least one hour. Right before serving stir in the pecans and sliced banana. Serve chilled. Note: You can add more or less of any of the fruit or nuts just depending on your tastes or what you have on hand. Dana please contact (email) me with your mailing address. Thank you to all of you who entered and helped with the pound for pound challenge. My mother use to make this salad for cook outs. She would use maraschino cherries instead of strawberries though. So yummy. Thanks for reminding me of it!